After spending 25 years in the high tech industry as an Engineer and then Service Delivery Manager, I took a life changing decision to become a carer for my elderly mother, which also enabled me to follow my dream by founding Roger Parker Photography, providing a personal service to my clients, be it a wedding, small commercial shoot or family group. My photographic style: Open, relaxed, and flexible to the customers requirements. My greatest strengths: Communication, and Customer Service. How I got started in photography: People have always complimented me on my photographs, however after being asked to photograph my nieces wedding, and the feedback from that I really started looking at improving my knowledge and moved to a professional standard. My personality: Kind Hearted, And Open, who is quiet and unassuming unless guidance is required then natural leadership qualities take over. Geographic areas I cover: Gloucestershire, Wiltshire, Oxfordshire, but happy to go further afield. Venues I frequently attend: I'm happy in all venues. I found inspiration from: It might sound corny but my customers inspire me, as each have individual needs and rather than imposing myself on them, I like to be adaptable to ensure they are happy. Roger has worked for Carers Gloucestershire as an events photographer. In particular, his work at our Walk a Mile in My Shoes fundraiser in the summer captured the spirit and excitement of the family fun day and was the centre piece of our Caring Matters magazine. And it's not just the quality of the images - Roger is easy going, undemanding and a joy to work with. I would thoroughly recommend Roger to anyone and look forward to working with him again soon. 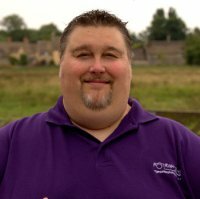 Nick Baker, Communications Manager, Carers Gloucestershire. Roger Parker photography,is so impressive.We used him for our wedding photo's on the 12th of March 2016.The whole experience was amazing, he really was able to capture some amazing shots throughout the day.We would recommend him without a doubt as nothing was to much trouble. The photos were stunning. Capturing details and characteristics I have rarely seen in photographs, more like the dedication to the final image that a painter would require. Tagline: Capturing Your Memories, Your way, with my Style!